Happy New Year! Wow! I cannot believe it. 2017 has just flown by. 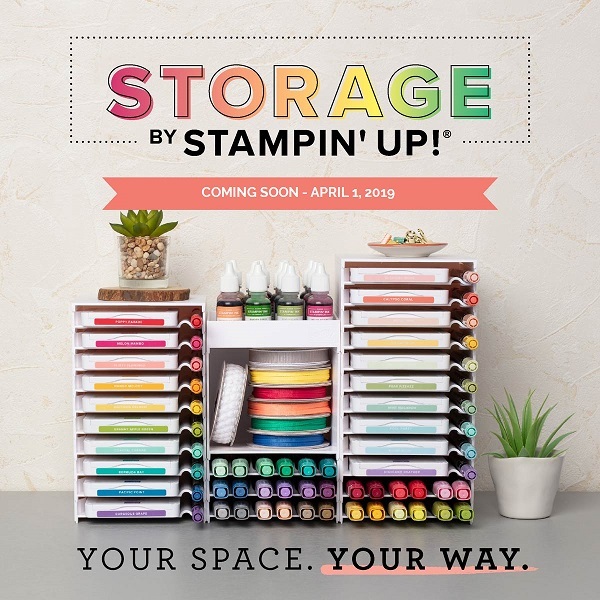 When the year started I was only a hobbyist Stampin’ Up! Demonstrator. I had no interest in doing anything more – other than getting a lovely discount and meeting new like-minded people. I wanted to find my tribe. Fast forward to today and I’m now running a small business (which I would love to do on a full-time basis). I’m loving the discount on my stamping supplies and I do love how everything coordinates so beautifully. Best of all, I’m incredibly grateful to have made some wonderful new friendships. The Stampin’ Up! community is a beautiful one. Okay, let’s get on to the card for today. I was inspired by the most wonderful card created by Nadine Schweda. 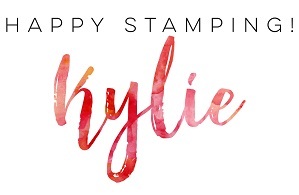 Nadine shared her card in our Stampin’ Up! demonstrator group and I was not the only person to be completely blown away by it. I’d have loved to have CASEd it exactly as she had made hers – it was that wonderful! As I don’t have the same supplies on hand, I had to put my own spin on the design…and really, I think that is what it is all about. Be inspired but try and put your own spin on what you see, even if just in a little way (and remember, if you are inspired by others, you must give credit)! I’m using the wonderful Party Pandas stamp set which will be available on January 3, 2018, when Sale-A-Bration begins (cannot wait for this!). In fact, it is one of the stamp sets you could earn for FREE! It is so versatile and fun! I love this stamp set. I also love how you can mix it up and use it in different ways. 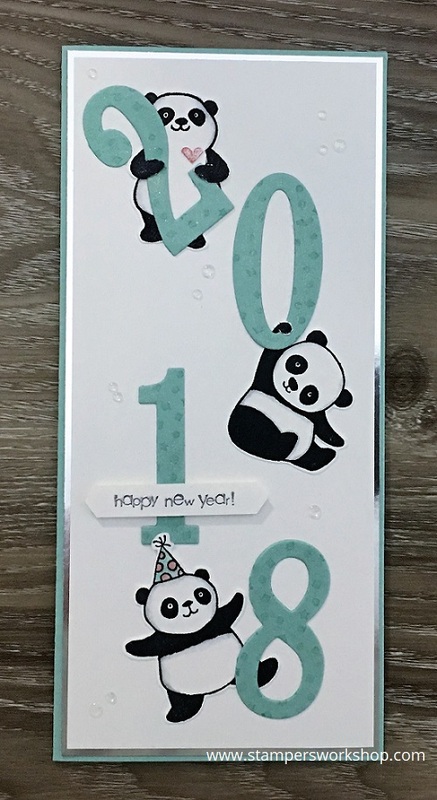 For example, in the card below, the panda hanging on to the 0 is actually holding a balloon but there’s no reason you have to use the stamp as originally designed. The panda holding the 2 is actually holding an envelope but with some patience, you can colour the stamp so as to exclude this envelope. I tried using a post-it note to mask out the envelope but it was a little too tricky. In the end, I used a marker to colour the stamp – much easier! I’ve also used the new Glitter & Clear Epoxy Shapes to add a little more interest to the background. These are coming in the new Occasions catalogue and they are going to be fun to use on many different projects! Aren’t these pandas super cute? Thank you for your support this year. I truly appreciate it! Thanks so much for stopping by! Have a great day and a great year ahead!